MAP South Hockey was founded over 12 years ago to provide athletes the opportunity to compete alongside other top players and to be challenged and mentored by elite coaches. 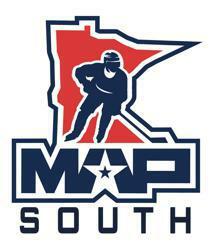 The MAP South Hockey development model is fully aligned and supportive of MN Hockey and community based teams. MAP South Hockey’s commitment to athletes and parents is to Develop High Character Athletes from Mite / U8s to Professional NHL Players, while providing the best long term development for On-ice, Off-ice, Strength & Conditioning and Leadership training. 20 minutes of Skating Development focal points (goalies work separately). applications of those tools in game settings and scenarios. Every member of our staff are experts and educated in the details of teaching and instructing skating, puck handling, passing, and shooting. While many of our players come in to the program with a solid base of skills already established, it’s important that we help those athletes improve on the intricate details of their game. We are proud to open up our facility to driven players who are heavily focused on their goals. We are obligated to provide the utmost direction to help our athletes improve. For example, nearly all of the athletes that start with our program are already established good skaters. Our job is to provide the knowledge and opportunity to help those athletes become GREAT skaters. Detailed-oriented teaching and feedback is necessary for that transformation. When an advanced player comes in with an elite specific ability like top speed or effective goal scoring, we further push the development of that skill. This process is further assisted with the activity of our Directors during the scouting season. Players are viewed and documented during the regular season so our staff as a whole is knowledgeable of our players before our training season begins. Our athletes are taught about skills development in terms of where and when they can be utilized in a game. Many of the drills and exercises run on our ice are often organized in a specific game scenario to better help our athletes understand the significance of that skill development. 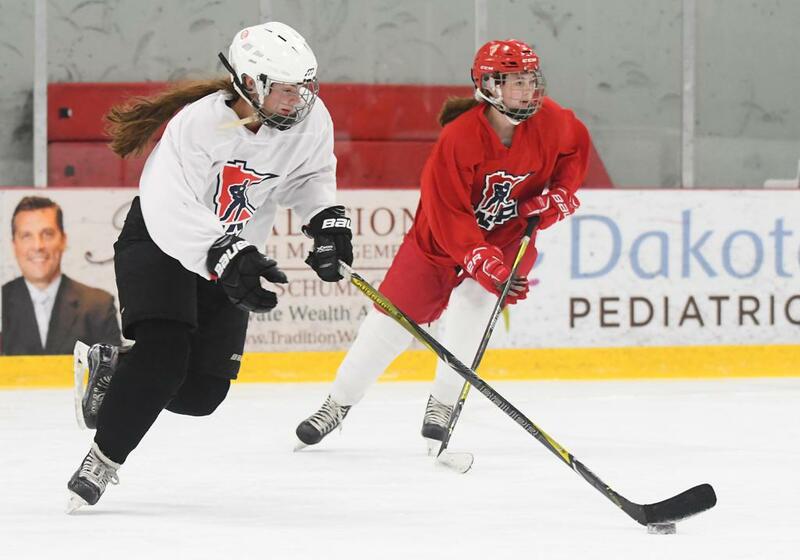 We also utilize different game reps (often smaller area than a full-ice game) to offer a better opportunity to utilize the skating and/or skill development being taught. Within this brand of development, it is vital that our players are also continually educated in game awareness. 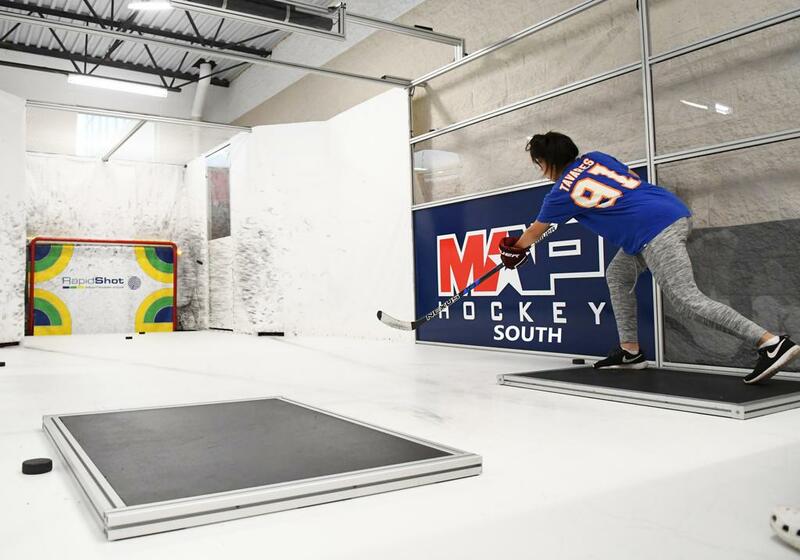 Skating and skill development on its own does not comprise an athlete’s entire experience at MAP South Hockey. Our athletes are given regular opportunities to better comprehend the use of their physical tools in game scenarios. Our Staff organizes different game setups to provide a specific setting for players to grow. The regular communication between our staff and athletes is a valuable tool to make our game reps, whether full-ice or small-area, that much more educational. Our instructors provide direction and feedback on a daily basis, both to the team and individuals. It is important for us to keep the lines of communication open and healthy so our athletes are encouraged and comfortable to ask questions and seek feedback about their game performance. Nearly every ice sessions concludes with some type of game reps. Once a week, our directors designate a Game Day. This ice session is a full-ice game from start to finish with teams organized beforehand, referees provided, and our staff on the bench to coach and teach. All of these game opportunities are also essential is providing another cornerstone of our culture - competition. Our Staff constantly uses competition as a motivational tool to get the highest level of performance and engagement from our athletes. Developing and nurturing a compete level is necessary and incredibly healthy for all of our players. We help our players appreciate the excitement of competition, and understand that their passion for the game is what fuels their performance. Our athletes LOVE to compete!